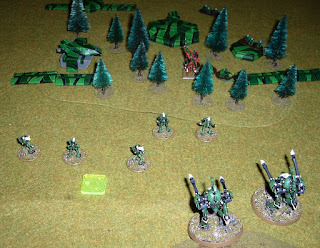 Another very quick game with me using Titan clan against Marines again. Tiny activation count on my part, but all very solid, how would that work? Here's the setup. 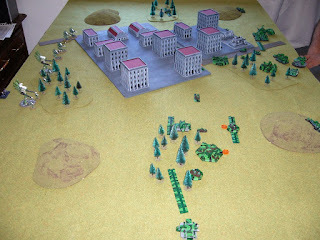 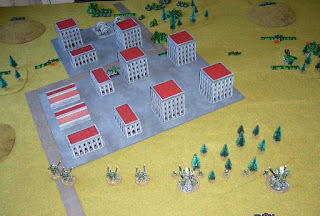 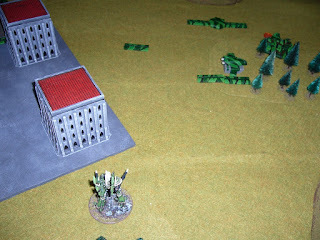 Marines have fortifications spread across the table once more. First activations. 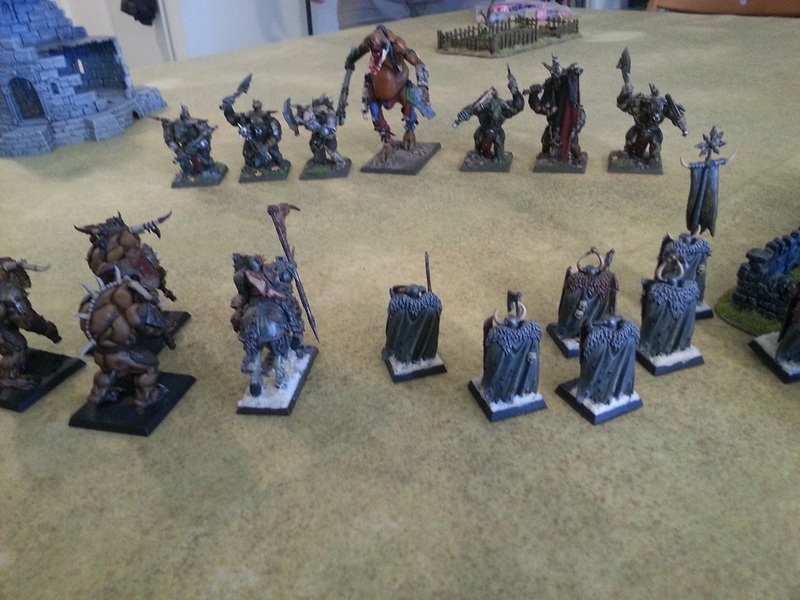 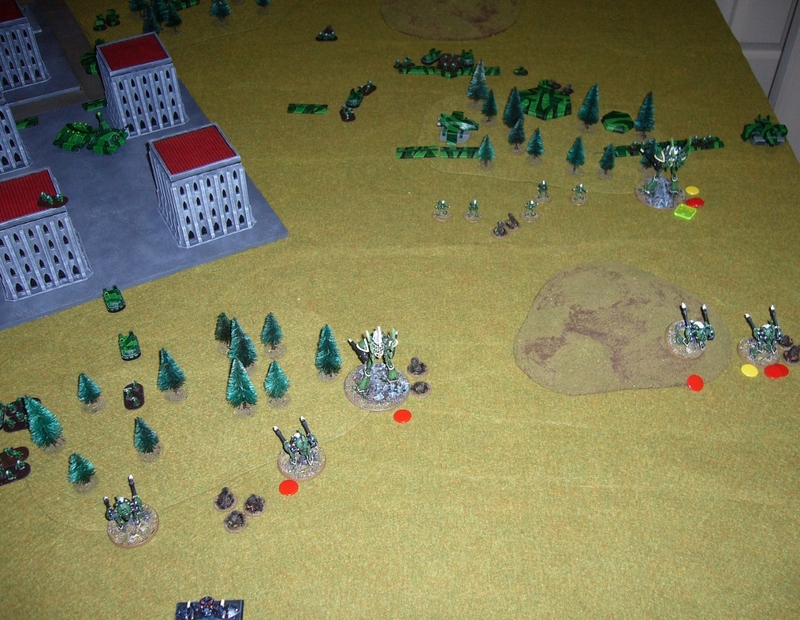 Revenants take some fire but break a Scout formation on the left flank. 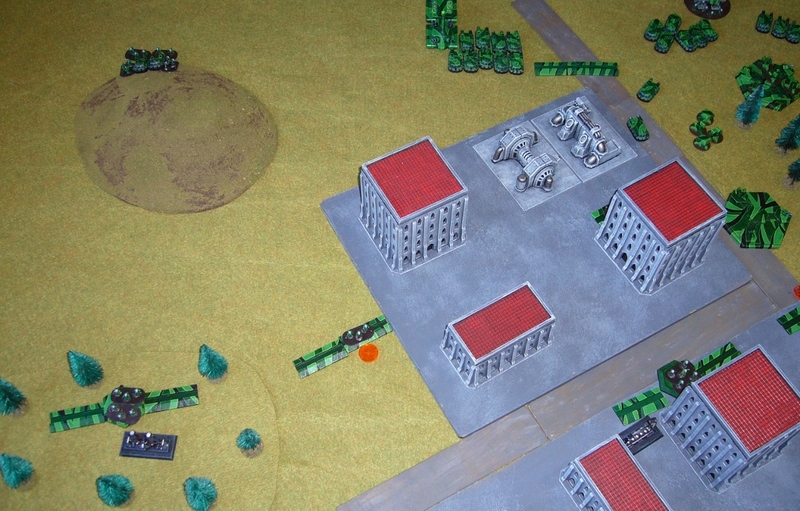 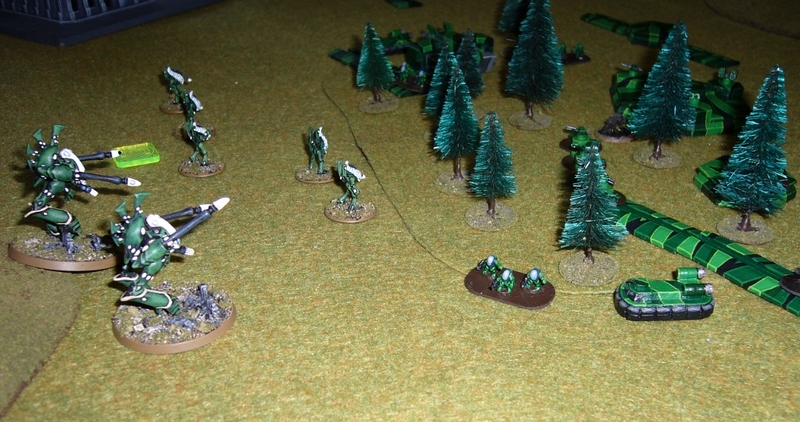 A phantom kills another couple of scouts on the right flank. 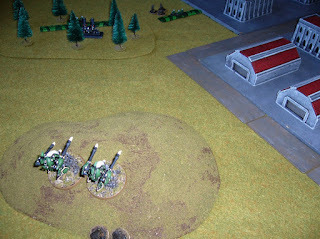 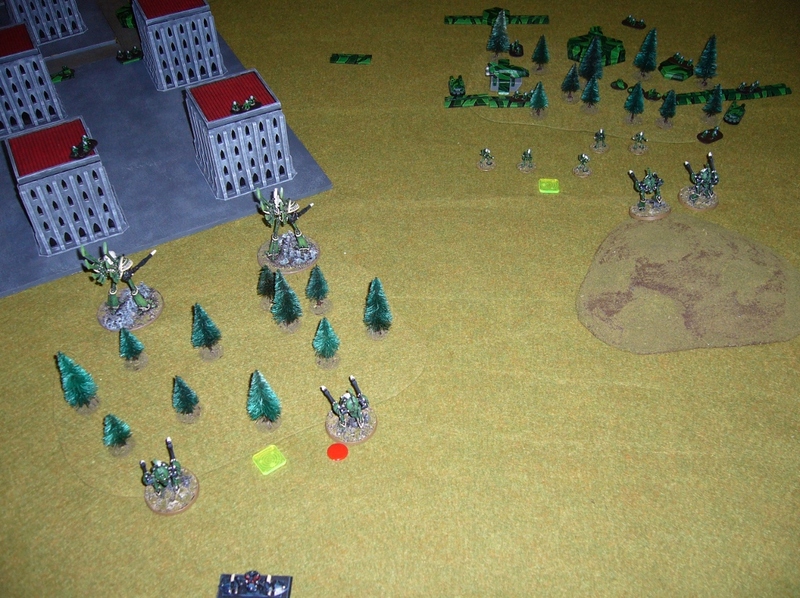 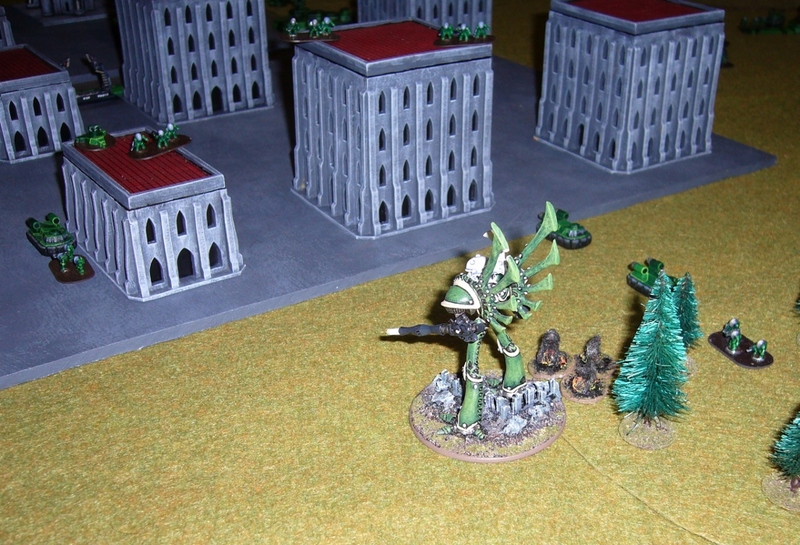 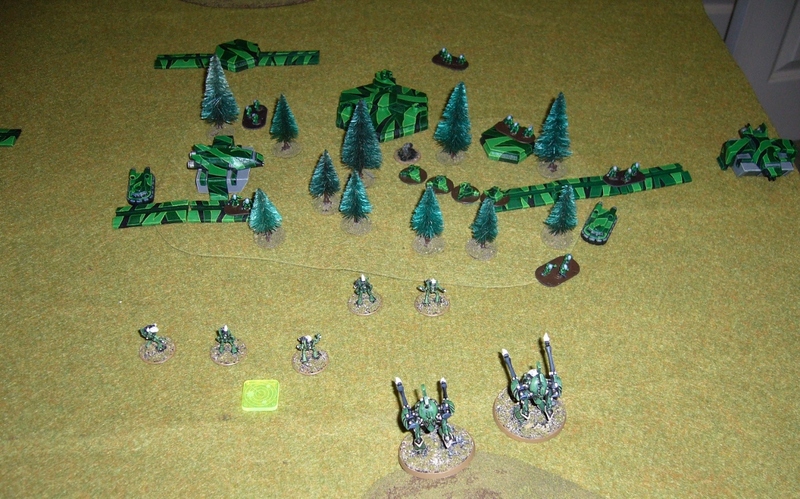 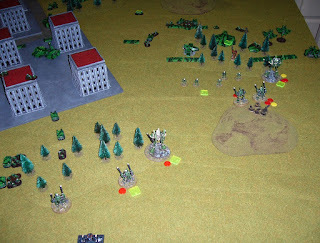 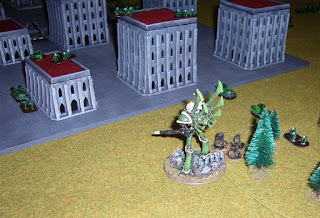 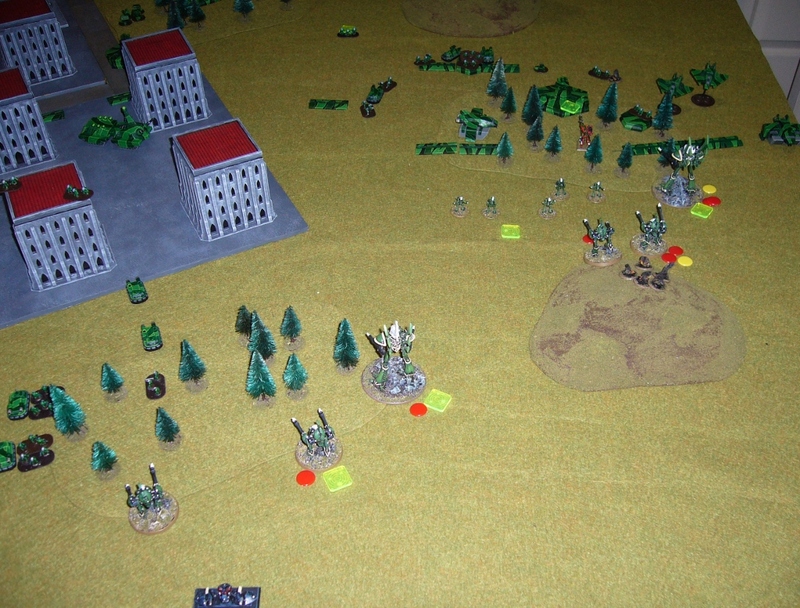 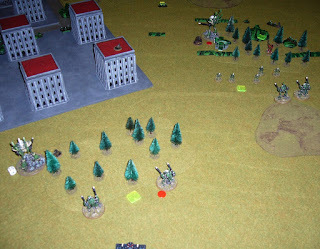 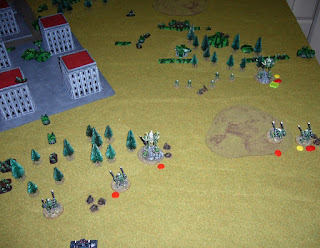 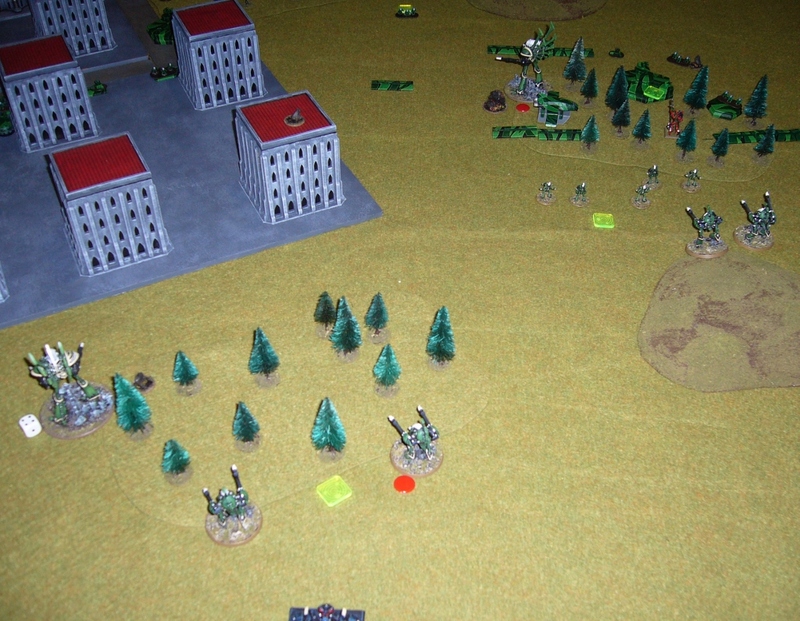 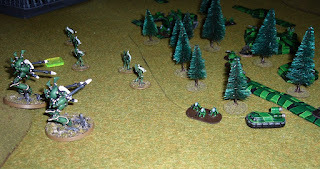 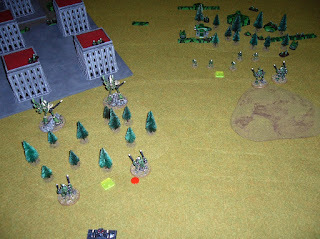 Eldar set up to assault the right flank Take and Hold Objectives. 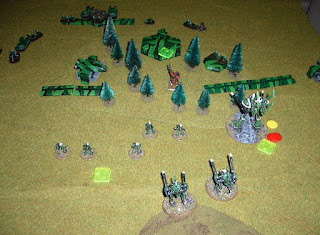 Wraithlords break under fire but being fearless hold where they are. 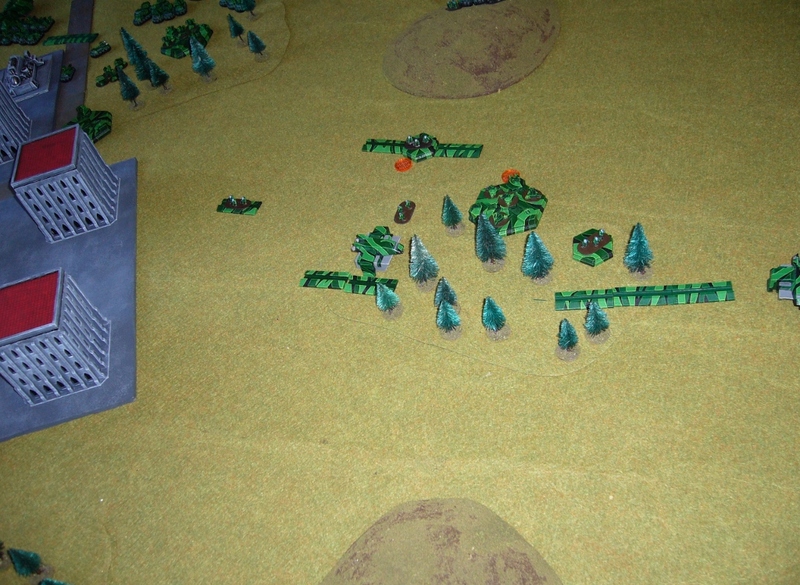 Avatar is summoned to lead assault on the Marine position, and knocks away the first formation in his way. Phantom comes over to support, but takes fire and loses its holofields. 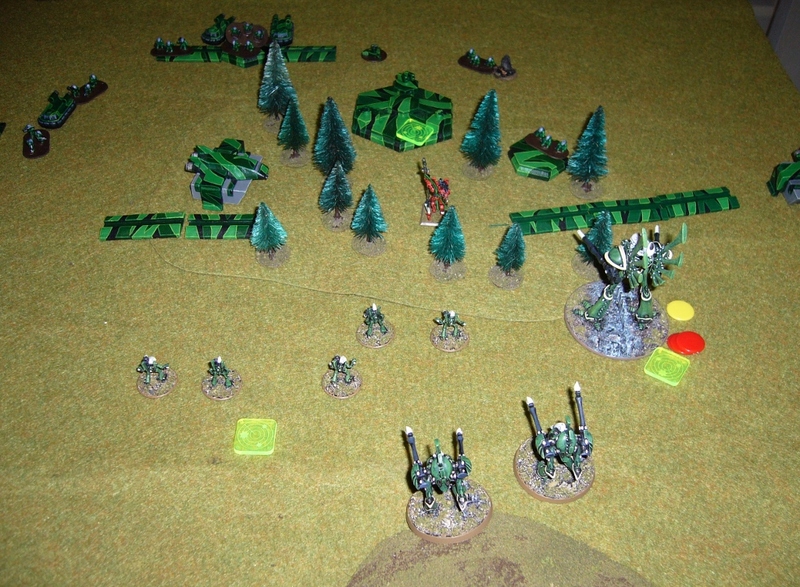 Things don't go well - all Eldar formations are broken at end of turn 2, and many are badly damaged! 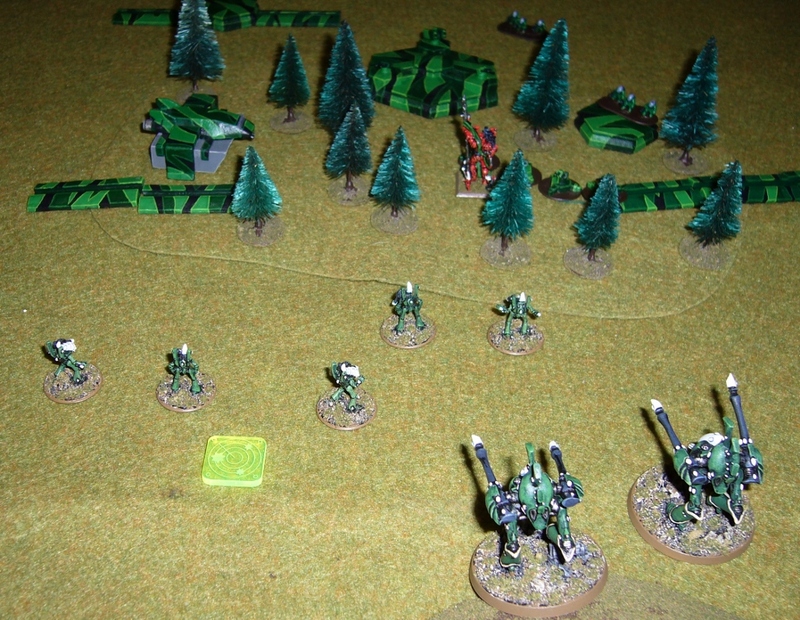 Too many Marine formations mean everything is just getting suppressed! 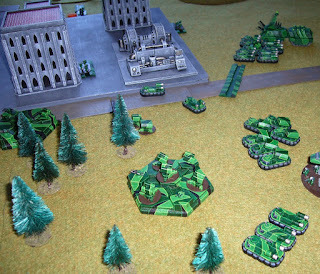 All formations except the Phantom rally. But... marines win Strategy Roll and after first couple of activations we both agree that the Eldar don't have a chance with so many suppressed and damaged formations. 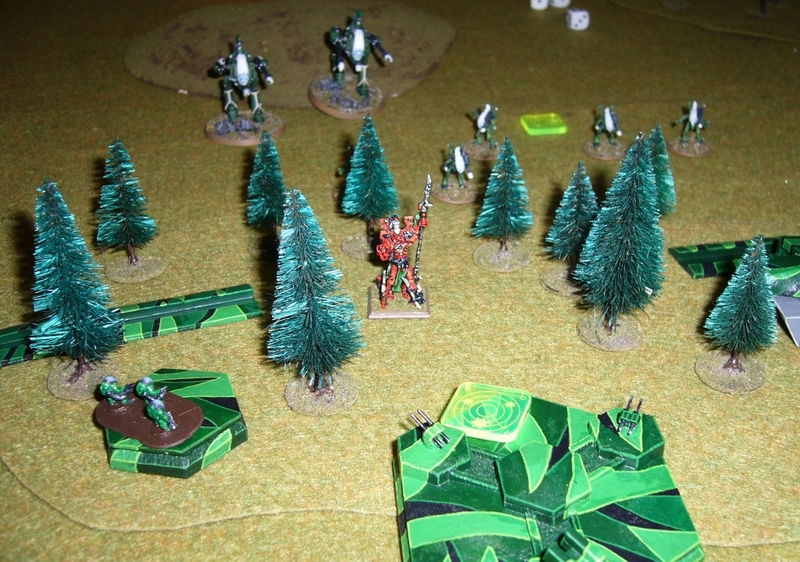 I concede. 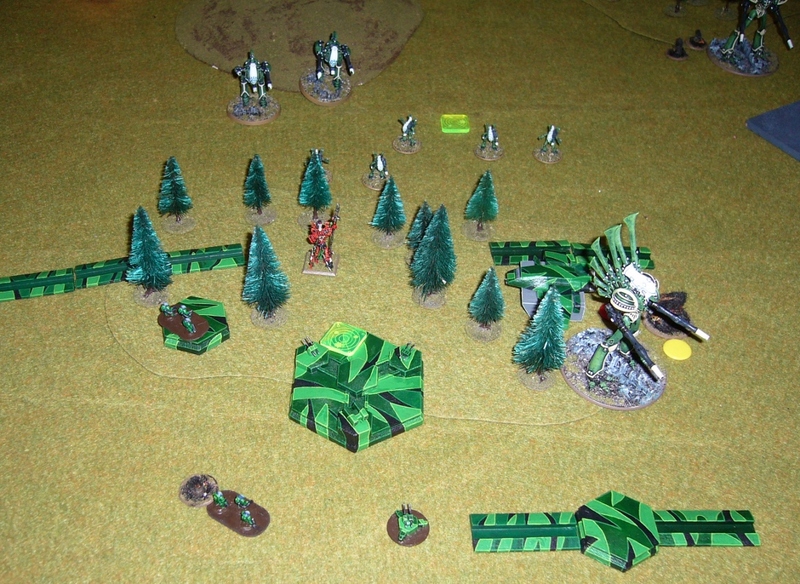 Well that was the most one-sided game in a while. 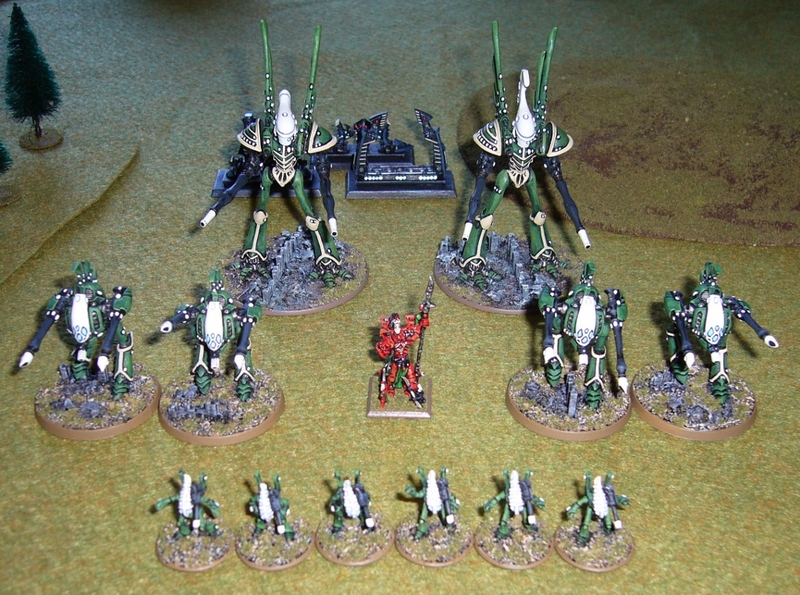 Expensive Eldar formations, that are extra expensive with present changes to the Titan Clan list. 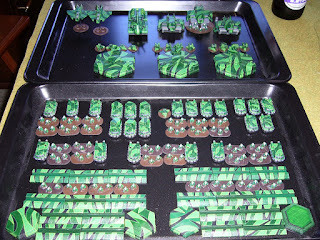 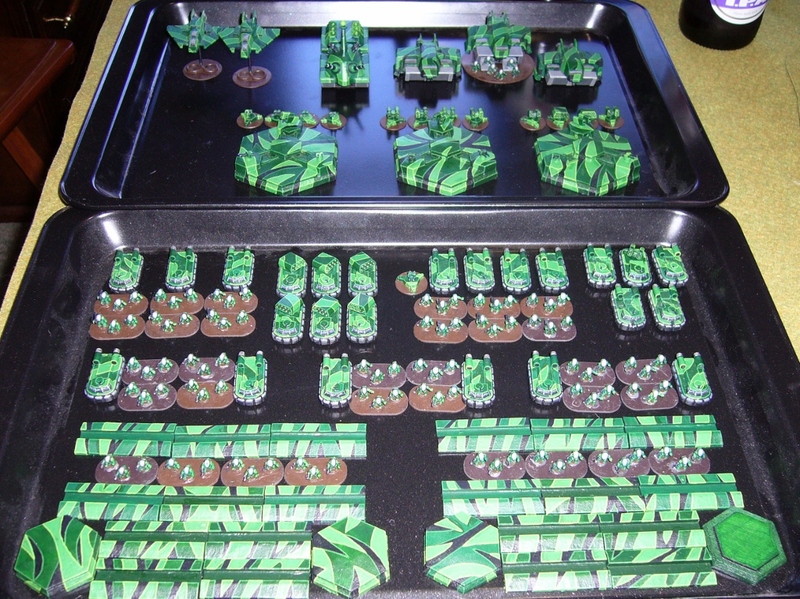 It is difficult to play a titan heavy list against a "popcorn' army with many cheap formations. 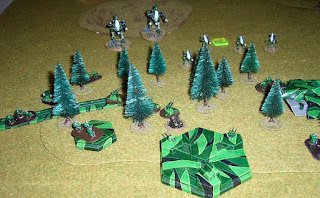 My list would be better with some cheaper activations. 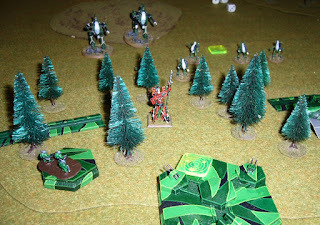 However I think the Titans themselves (the Revenants especially) are too costly at the moment.